Conspiracy theorists believe that the Knights Templar were deeply involved in religious conspiracies, including the allege discovery of the Ark of the Covenant and the supposed secret of Christ’s marriage to Mary Magdalene and the Holy Bloodline descended from their child. 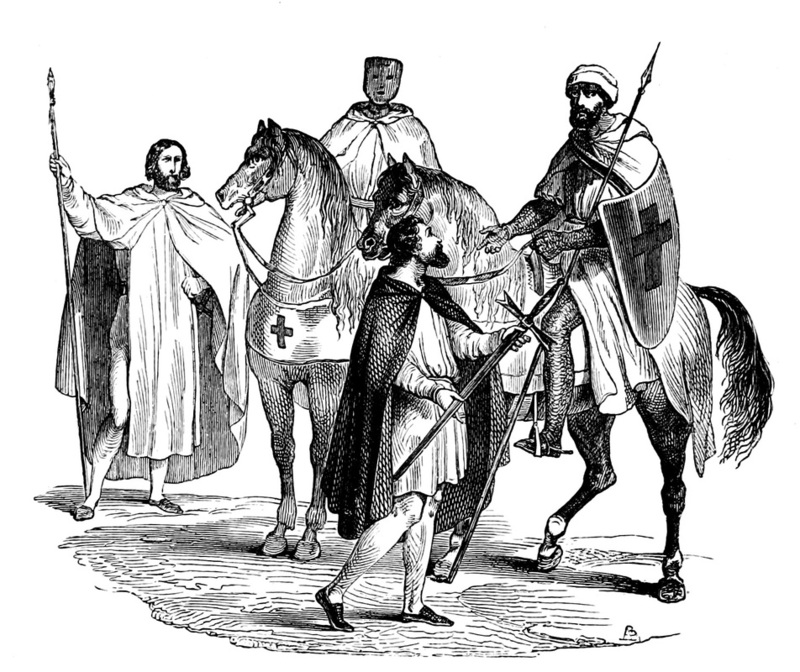 The widespread belief that the Templars escaped from the raid on the Templar order conducted on October 13, 1307 in a fleet of galleys launched from New Rochelle rests entirely on the unreliable testimony of Brother Jean de Châlons, who made the following statement under torture at the papal inquiry into the Templars at Poitiers in June 1308. It is the only reference to a Templar fleet in all of medieval literature, and almost certainly a lie. The testimony below was recorded by the papal interrogators after a number of prominent Templars recanted their earlier confessions of blasphemy and other crimes. Brother Jean of the city of Châlons, a Templar residing in the chapter-house of Nemours in the diocese of Troyes, having been sworn by an oath and interrogated, as stated above, said while under oath that around seven years ago he was received in Bois in the baylivia [a type of administrative district] of Merlan in the diocese of Reims, in the church in the aforesaid place. And the church was presided over by Brother Gilbert, the preceptor of the said location, with assistance from five brothers. He asked for bread and water and to be admitted into the society of the Order, and three times in succession the order came from the preceptor to carry himself out from the chapel, but as the preceptor and the other brothers deliberated, he persisted in his petition, and the said preceptor responded: “My son, I have considered this great request, because not everything that they see of us outwardly allows them to know that which is within. It will be necessary to sustain yourself and to do many great and arduous things.” He at last replied that he would carry all the burdens that the master thought well to grant him, and in reply the preceptor said: “We have a procedure to receive you,” and he placed a mantle around his neck and, opening a missal, made him swear obedience in all things, swear chastity, and swear to the renunciation of his property. 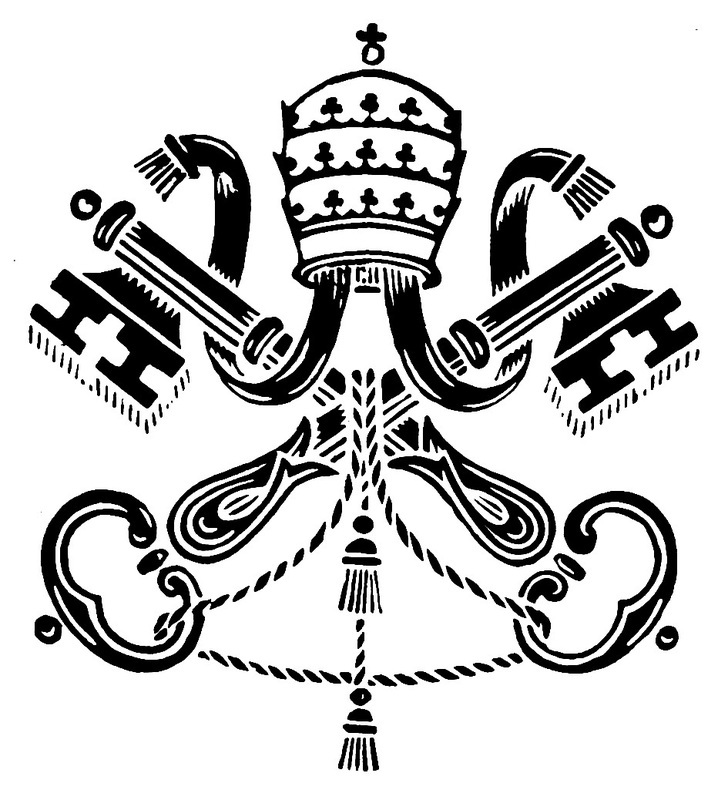 And showing him an image of the crucifix in the missal, they asked him if he believed in the crucifix and Him who was represented by this image. He responded: “I truly believe.” And the preceptor said: “You must three times deny this Christ who is represented through this image, and spit upon this image and the cross which represents Him.” But when he made no move to do so, the preceptor rebuked him, saying, “Would you show yourself to be disobedient to an order?” And he was threatened that if he did not so deny, the preceptor would have him placed, within a few days, into the pit at Merlan. And he said that this pit or prison is so harsh that no one is able to live there for very long, and he saw that one man had been thrust within and did not live but five days. He himself became the sometime keeper of this prison, and during his time as such nine brothers died from the harshness of the prison. At last, shaken by threats and terrors, he denied Christ three times with his mouth but not with his heart, and with great tears and sorrow in his heart. He said that after he received a kiss, which meant that he had been received, the Comte de Longpré entered the house for a meal. And the said preceptor dismissed him and said, “Let us go and sing together to the count. Let us dismiss the remainder, because we will finish it another time.” But the said preceptor never sought him afterward. He did not know whether the preceptor dismissed the remaining points of the reception because he had forgotten or he had become occupied elsewhere. And this witness might have left the Order quite honorably, if he had dared and had he been able. He was in the Order for six years, and he was not only one of these people but also became a preceptor himself. He also said that a certain priest of the Order, Renaud by name, induced more than sixty Templars through secret writings to then revoke their confessions. He himself had even received pressure in this way many times from his friends, though he did not know which among them they were, that he should revoke (his own confession). He also said that he had confessed this crime to a chaplain of the Order, who did not absolve him, because he was doing good work with the power and privileges of the Order. He also said that so great is the cruelty in this Order that if any preceptor developed a hatred for any brother and wished to have him killed, he would go to the visitor of France [i.e. Hughes de Pairaud] and especially to Brother Gérard, the preceptor of France, saying that this brother was disobedient. And then, so long as he gave them a good sum of money, it was permitted, which meant that the brother was arrested and thrown into the aforementioned pit, where he died. And he had himself seen many people die there, of whom they said that there was no reason for their deaths except for the cash payment, and he heard from the brothers of the Order that this was the customary way things were done. And he said that no one was received into the Order unless he gave them a lot of money, and that he himself had given at his reception five hundred livres, and Brother Robert de Malen, his associate, had given just as much. At his reception, Gilbert the preceptor, Jean de Vallecutone, Reginald de Cormesi, Pierre of Brie, and Thierry the Younger were present, and in their presence and by their inducement he denied Christ and believed, because of the many people gathered around him, that only then would the aforementioned count then come. He even said that they gave little alms, and much of the alms they received they left for their own use. Never did he see anyone corrected in the chapter, not in all his time in the Order. They abused Apostolic letters brashly, and in any one of the preceptories they had clerics who harassed many people with their commands. Then he said that, learning beforehand about this trouble, the leaders of the Order fled, and he himself met Brother Gerard de Villiers leading fifty horses; and he heard it said that he set out to sea with eighteen galleys and that Brother Hugues de Châlons fled with the whole treasure of Brother Hugues de Pairaud. When asked how he was able to keep this fact secret for so long, he responded that no one would have dared reveal it for anything, if the Pope and the King had not opened the way, for if it were known in the Order that anyone had spoken, he would at once be killed. And he said, he was the preceptor of Nemours at the time of the raid, and before that he had been the preceptor of Marmot. When he was asked how he knew that Brother Renaud had induced the Templars to recant their confession, he said it was because he and the other brothers had signed a testament on a parchment sealed with lead, that they should revoke their confession, lest the order be dissolved. Hence he invited them to recant, and the witnesses and the other brothers said, “How can we recant the truth? What we have confessed, we cannot contradict, because it will not stand beside our confession.” The others said: “We are confounded, in perpetuity, if we do not recant,” and the witness himself said: “I would rather be without honor forever than to damn my soul by recanting a true confession,” and he said that the aforementioned Brother Renaud had conceived of this revocation of the confession from the brother of the Grand Master, the Dean of Langres. Source: Document 155 in Heinrich Finke (ed. ), Papsttum und Untergang des Templerordens, Vol. 2: Band: Quellen (Vorreformationsgeschichtlighe Forschungen, no. 5) (Münster: Aschendorff, 1907), 337-339.